We would like to welcome all our new 2017 players. It has been wonderful to see how much you have all improved during the season and your love of the game continues to grow. The past year has seen the club implementing new policies eg. Age guideline policy, Social networking policy, Complaints process policy, and Nationals Selection Guidelines. We continue to provide loan gear for junior players to help them get into the sport. This is at no cost to the families and allows them time to purchase gear as they can afford it during the first couple of years. We endeavor to continue to break down barriers that prevent new players joining our fantastic sport. 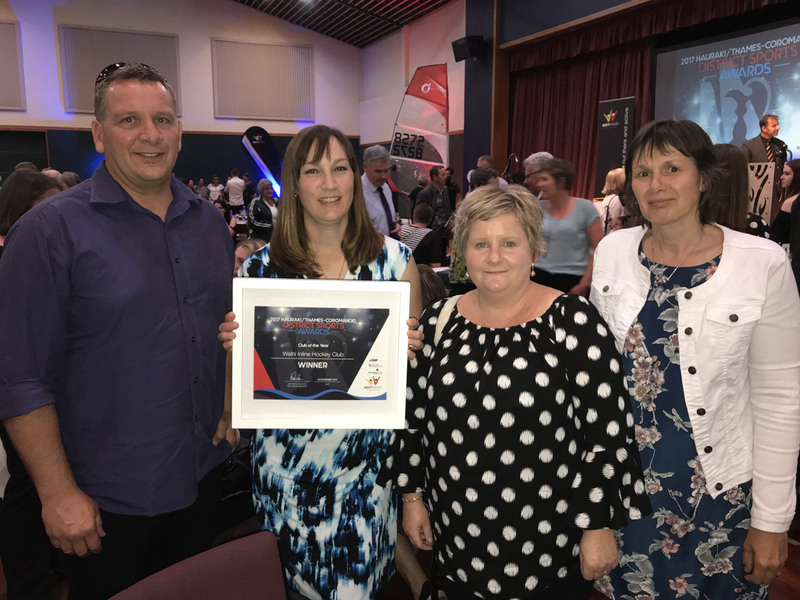 We have taken part in the Sport Waikato “This is ME” programme to encourage more girls and women into physical activity. The Waihi Miners stall was well attended and it was great to see the sport of inline hockey get more exposure. In January 2018, Johnnie Andrews-Nye, Reid Samson and Nick Barakat planned and presented our first ever Youth Hockey Camp. The feedback from the 12 children that attended was very positive and there were lots of smiling faces. This was followed up by a club Pre-Season training which was also well attended by our club players and enjoyed by all. We held two coaching sessions to up skill and support our coaches. This was provided by Hockeywise, an inline hockey specialist. We are committed to continuing the development of our coaches in 2018. Gina Davis, a past member, who is now playing overseas took each of our teams for a coaching session. This is part of our ongoing commitment to be constantly looking at ways to support our coaches, players and referees. We have rebranded our Mighty Pucks programme for 2018 to make it clearer to potential participants what each programme will focus on: Learn to Skate and Learn to Play; previously Level 1 and Level 2. New eye-catching posters have also been designed. This initiative brings in new members to the club. Saturday Skate Night continued to be well attended in 2017. This also brings in new members to our club and allows our club members to enjoy more time on their skates. For a small town, this is an event that gives children something positive to do on a Saturday night. At Halloween and Christmas, we held a special fun skate night for the community. Special mention must go to Reid Samson and Jamie Mudford for helping to make the Christmas Skate Night so enjoyable. New scooters were purchased to replace old worn out scooters. We have also purchased foam barriers to improve the safety of skate night and replaced the wooden skating ramp that was worn out and becoming a hazard. A limbo stick was also purchased to bring another fun aspect to our regular Saturday night skate event. We conducted a health and safety review which resulted in the purchase of new scooters, removal and replacement of old ramps, safety netting around the rink, and the implementation of a hazard register and accident reporting form. Shelving in the skate room for the storage of skates for community skate night were replaced as the skates could easily fall off the shelves. New angled shelving has made access and storage of skates much easier and safer. We supported Bluelight and helped them to run skating events during the school holidays. We supply the volunteers and skates for free. This is a free event and encourages children to give skating a go. These sessions attract approximately 100 children each time. Thank you to our club members that volunteer their time to assist Bluelight at these events. The introduction of floorball in Term 4 2017 was been a huge success and was well received by those that attended. Participants put on skates for the last week of floorball. This was hugely popular and gave the kids an introduction to inline hockey. We supported Waihi College with their Asian exchange students and Explore Programme by providing skating sessions. At the beginning of the year in March we held a “Bring a Friend” day to offer friends of players a chance to come and try Inline Hockey. These new initiatives are aimed at increasing our membership. In March 2017 we hosted a Junior Mixer Weekend bringing in clubs from all over the North Island from Levin to Kerikeri. This was the third year we had run this event. It is very well supported and brings revenue into the area as families stay, play and eat here for the weekend; the weekend also generates fundraising for the club via the team entry fees and popular Miners Café. The Mixer Weekend is a relaxed and fun environment for U10 and U12 players to enjoy inline hockey. Safety nets have been installed around the entire rink making it safer for spectators. This allowed us to host a Senior Social Inline Hockey event for the first time this year in September. These events are open to the public to come and watch at no charge. In 2017, 13 club members were selected to represent the Central Region at the yearly inline Hockey Regional competition held over Labour Weekend in October 2017: U10: Justus Chapman, Lukas Chapman, U12: Braydon Burr, U14: Matt Barakat, U16: Joeb Ibbotson, Luke Barakat, U19: Nick Barakat, Johnnie Andrews-Nye, Joeb Ibbotson, Senior Women: Jamie Mudford, Shania Bate Masters: Luke Burgess, Veterans: Daryl Shave, Viv Barakat, Glenn Williams, Luke Burgess. In August 2017, 2 club members, Nick Barakat and Johnnie Andrews-Nye, represented New Zealand in the Junior Men’s team that completed in the Roller Games World Championships in Inline Hockey in China, Nanjing. U16's and Seniors represented the club at Nationals in 2017. Both teams were competitive and represented their club well. We are proud of all of our 2017 players. Your commitment to your sport and the positive way in which you conduct yourselves at games is a credit to you and your families. Jamie Mudford, Nick Barakat and Johnnie Andrews-Nye were nominated for Junior Sportswoman/Sportsman respectively. 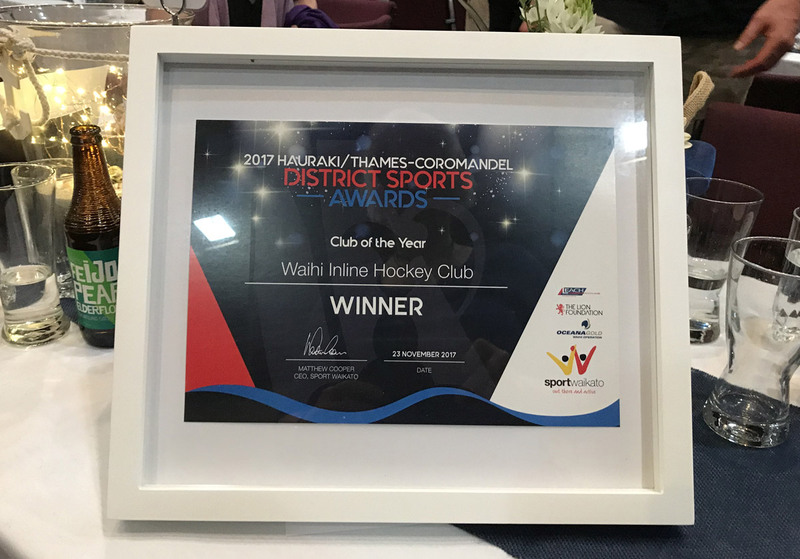 The Waihi Miners Inline Hockey Club received Club of the Year at the 2017 Hauraki/Thames-Coromandel District Sports Awards. All of our members have helped contribute towards this and we should all be very proud of this achievement. Thank you to all members that took on the responsibility of a club position in 2017. Without volunteers we would not have a club and please know that your contribution is very much appreciated. Thank you also to the parents and caregivers that support these passionate inline hockey players and get them to the games, cheering them on from the sidelines. 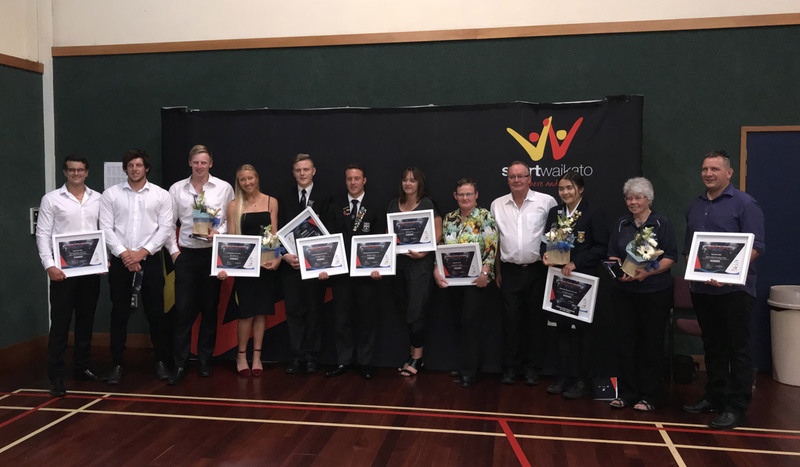 We would like to acknowledge and thank the Valder Ohinemuri Charitable Trust for the funding that enabled us to purchase new scooters for skate night, and also First Sovereign Trust who covered the cost of the safety nets for the rink which allowed us to safely host U10 and U12 games last year and our first 3on3 Senior Social event. The funds raised from the telephone book deliveries not only subsidized tournaments and dinners but also helped to fund the coaching clinics, floorball and promotion of the club.